Beginning September 11, 2005, St. Mary's County Library will offer Sunday hours at the Lexington Park Library. A special celebration will take place at 12:30 p.m. to mark the beginning of this new county service. The St. Mary's County Library Board of Trustees and St. Mary's County Board of County Commissioners will officially open the doors at 1:00 p.m. Refreshments will be served by the Friends of the St. Mary's County Library. The Sunday hours will be from 1:00 p.m. to 5:00 p.m. The Lexington Park branch was selected because it is the largest facility; it has three meeting rooms; and it has the additional services of a Coffee Bar and an Art Gallery which showcases local artists. The Lexington Park Library not only will be the "County's library" on Sundays, as staff from all three branches will provide the customer service, it will be the only library in Southern Maryland open on Sundays. 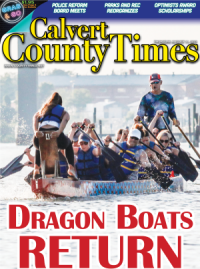 "The Library Board and staff recognize that our county residents lead very busy lives and one of the few days they might have as a family to enjoy their library is on a Sunday, said Kathleen Reif, Director, St. Mary's County Library. We are thrilled to be able to provide this new service to the public." 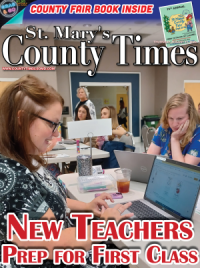 "The St. Mary's County Library is a very important educational resource for our students and their families and having it open on Sundays will only improve the educational opportunities of our children, said Thomas F. McKay, President, Board of County Commissioners. The Board of County Commissioners is pleased to be able to support this addition to County services." For more information, contact Marilyn Lash, St. Mary's County Library, at 301-475-2846 x23.